Leopards are stealthy and nimble predators. These secretive large cats are notoriously hard to find, despite their distinctive pattern, and even harder to count. 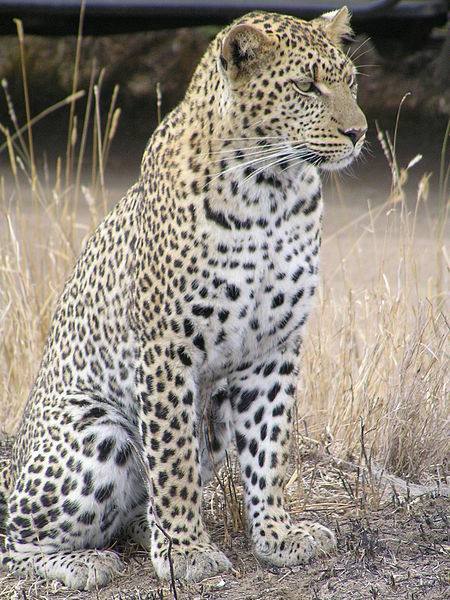 Leopards are distributed across sub-Saharan Africa, occupying many different habitats. They are very agile climbers and will often be found hauling their prey up into a tree for safe keeping. Among all the countries in sub-Saharan Africa, Namibia has a great potential for maintaining healthy leopard populations because of its open landscape, low human population and exceptional conservation ethic. Large areas of the country remain as wilderness with much of the historic assemblages of species still present. Namibia has monitored its leopard population since the 1930’s. Several studies were conducted to estimate leopard densities over the years, all of which provided information showing the presence of more leopards than previously rumored. A 2003 study used sightings of leopards from the public, hunting guides, conservation authorities, tour operators and tourists from across the country to learn the density and distribution of leopards. The population was estimated to be 8,000 individuals. However, the majority of the leopard population occurs outside protected areas and within areas of high human density; these areas were not included in this study. Namibia now desired to achieve more effective leopard conservation; a partnership with the private sector was required. In 2010, Namibia partnered with SCI Foundation to help provide up to date information on leopard densities, and how they could more effectively manage their leopard population. A three phased project was initiated. Phase I used a consultative workshop bringing together regional stakeholders to share information and ideas to use in the final design of the project. Phase II was a questionnaire survey sent to local farmers to determine frequency of leopard sightings and whether the species has been a problem animal on their property. Phase III focused on spoor surveys (foot prints) and camera traps to estimate relative density of leopards in three study areas. Camera traps are small digital trail cameras that use motion sensors or timers to take images of wildlife. The cameras store the images with the date and time of the occurrence. Researchers can use the photographs to identify individuals and determine population estimates over time. Extensive information was gathered through phase I and II. 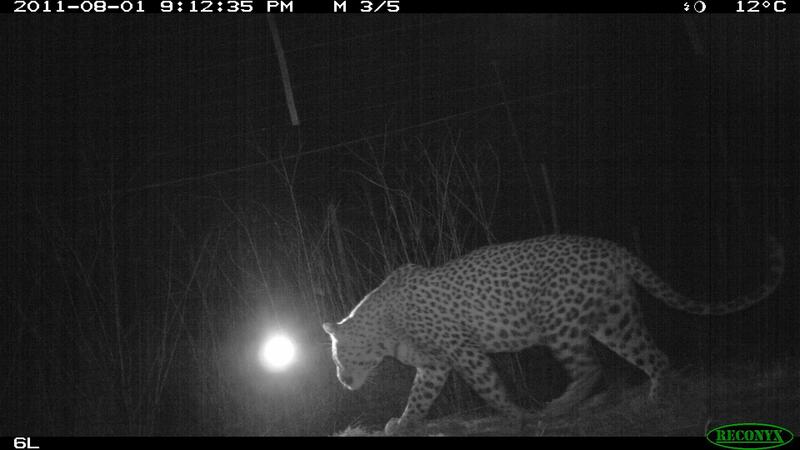 Farmers responded saying that they frequently saw signs of leopards. Leopards are more likely to kill their cattle and cheetahs are more likely to kill smaller livestock. Fewer than 50% of leopards destroyed as problem animals were reported to the authorities. However, cheetahs kill more total livestock than leopards. As a result more cheetahs are killed in human-wildlife conflicts than leopards. The three study areas were selected based upon survey information and information on density levels that were gathered by previous studies. The three areas had differing habitats and prey availability, and would each hypothetically support a different number of leopards. The researchers verified that their three study sites had different leopard densities. The first study area was considered to be high density, the second study area had a medium density, and the third study area had a low density of leopards. 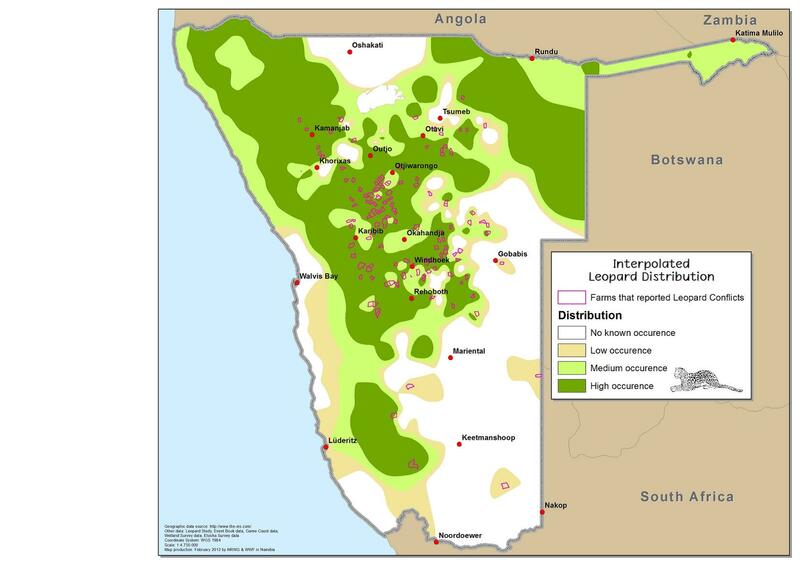 After extrapolating leopard densities from each study area’s camera and spoor surveys to a national scale, using similar habitat parameters across the country, estimating approximately 14,000 leopards in Namibia. Hunting quota systems are an important tool in the conservation of species. Quotas set a number of animals that are legally allowed to be taken in a given time period. Hunters from around the world are willing to pay considerable sums for the opportunity to take a leopard. In Namibia they are the species that is most likely to be trophy hunted. 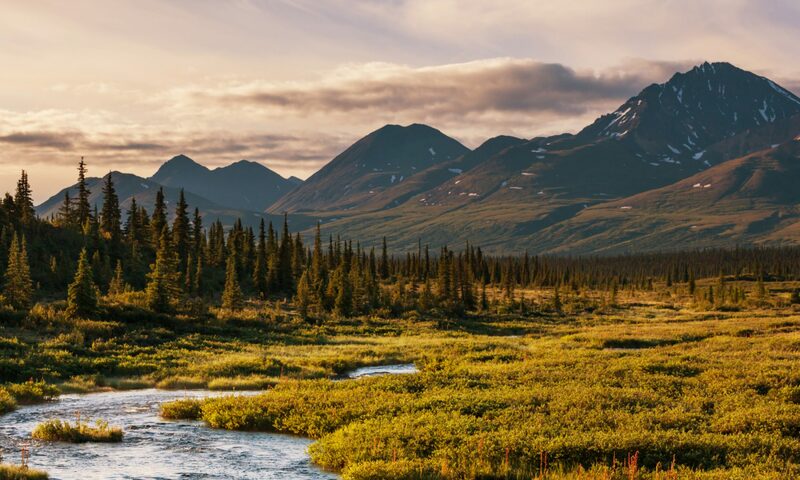 Such tourism creates job opportunities and much of the hunting revenue goes back into the local communities, wildlife conservation, and governmental programs. The export quota for leopards in Namibia was set at 100 animals until 2004, when it was increased to 250 animals. The increased quota was not filled for six years, until 2010. The Ministry of Environment and Tourism in Namibia was concerned because this change had little scientific justification, and the country wanted their quota system to be adequate for the population of leopards present. Furthermore, there were reports of improper hunting practices that caused the Namibian government and the hunting industry to review the leopard population and hunting management strategies. The annual leopard hunting quota continues to stand at 250, representing 3-4% of the estimated total adult male leopard population. It has been recommended that the quota remain at this level, with the introduction of an intensive monitoring program to distribute permits across the landscape according to leopard density. The three study area densities were extrapolated to include the entire country. The high density area was calculated to be 54% of the total area in which leopards are present and should therefore receive 54% of the trophy permits. The medium density area should receive 32% of the permits, with the low density areas receiving the remaining 14% of the permits. Population estimates are necessary for guiding national species management. As in most leopard range countries, estimates of the leopard population were lacking and therefore some management decisions, like quotas, were based on conjecture. Management decisions without baseline information and strong monitoring systems can lead to disastrous declines, even in populations within protected areas. SCI Foundation is working in areas where adaptive management strategies are employed, to help impact the management of predators in these systems.